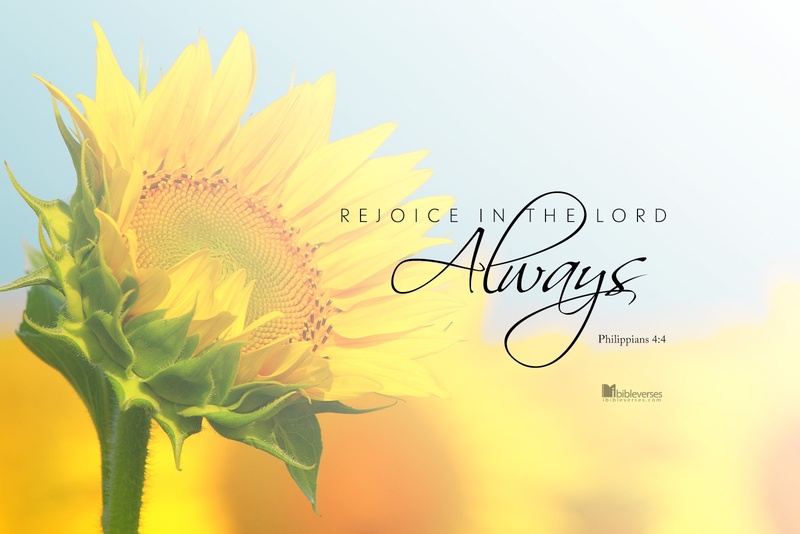 Philippians 4:4-7 (ESV) – 4 Rejoice in the Lord always; again I will say, rejoice. 5 Let your reasonableness be known to everyone. The Lord is at hand; 6 do not be anxious about anything, but in everything by prayer and supplication with thanksgiving let your requests be made known to God. 7 And the peace of God, which surpasses all understanding, will guard your hearts and your minds in Christ Jesus. Paul was triumphant amid all of his sufferings. He experienced great joy and gladness in knowing that Jesus was his Savior. He knew first hand the unconditional love, unfailing faithfulness, and compassionate understanding of our risen Lord! How about you? Are you able to Rejoice Always in ALL of your circumstances? God has given us amazing promises. He has written them down in His Word! He will NEVER fail to fulfill them! God is faithful! When Jesus was teaching His disciples about The True Vine and The Vinedresser in John 15 He said these words, “These things I have spoken to you, that my joy may be in you, and that your joy may be full.” (vs. 11). Jesus’ words were meant for you as well … not just the disciples. Almighty God, I rejoice always and give you thanksgiving praise in ALL of our circumstances. May I have the faith of Paul to face challenging circumstances knowing that you are always faithful. Amen and amen. Gallery | This entry was posted in Uncategorized and tagged bible studies, Christ, christian devotions, dependance on God, devotions, faithfulness, give thanks, God, God cares, God knows, God provides, God's promises, Jesus, Lord, Paul in prison, Paul's sufferings, Philippians 1:12-14, Philippians 4:4, Provider, Rejoice in the Lord Always, sufferings, Sustainer, thanksgiving devotion, thanksgiving praise, Thanksgiving Prayer, trials, tribulations. Bookmark the permalink.